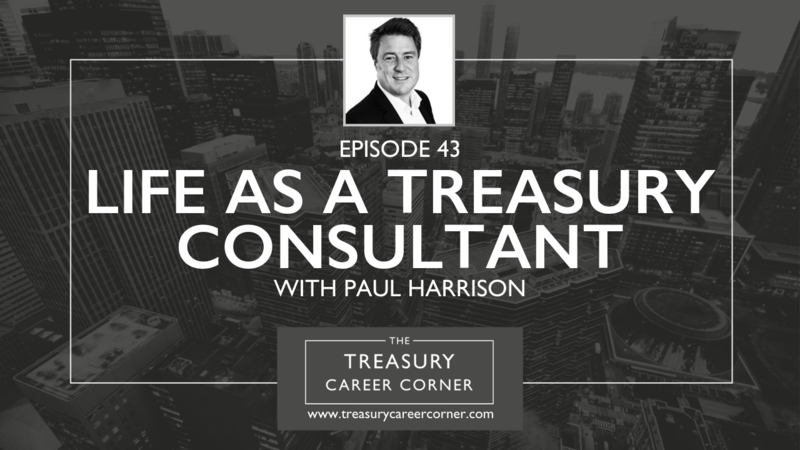 On this episode of the Treasury Career Corner Podcast, I’m delighted to be joined by Paul Harrison, the Head of Treasury Advisory at Grant Thornton LLP. As with each guest that comes on the show, Paul shares his career advice for anyone looking to follow a similar career path. We also dive into what life is like as a Treasury Consultant and Paul sets the record straight when it comes to common perceptions and myths surrounding a consultant role. Paul leads Grant Thornton’s Treasury Advisory business (GTTA) and assists clients in establishing a new treasury function from scratch or in make an existing one ‘fit for purpose’ following organic or M&A driven change. With more than 25 years of treasury experience in a corporate and advisory capacity, Paul’s focus is liquidity management, operational banking, FX risk management, debt compliance and treasury management systems, together with all the processes and policy changes required in each of these areas. Prior to joining Grant Thornton, he worked at PMC Treasury, PwC and Diageo. Outside work, Paul is a family man with two daughters. When he isn’t working or spending time with his wife and kids, he enjoys playing tennis and is a keen cook.